Chinwag Psych Interview: Antony Mayfield & Chris Schaumann "Design your Day"
Antony Mayfield - “Design your Day” eBook. What is the five-step design thinking process? 1. Discovery - trying to understand as much as you can about the challenge you face. 2. Defining the challenge – working out best way to describe, and finding the right language to frame the challenge. 3. Developing ideas – coming up with as many potential solutions as possible. 4. Prototyping – making a model of one of your ideas. 5. Testing and iterating – testing your prototype and creating new versions (or iterations) based on what you learn. Design Your Day is about using this process to create an optimal structure for your day. Most people think they have 'thinking processes' down pat - why is it important to have a five-step design? One insight we gained from researching and talking to experts in the neuroscience of work was that the amount of high-quality thinking time – when we are able to do our best work – is surprisingly limited – perhaps just a handful of hours a day. How we manage that small resource of our best thinking demands thoughtfulness and discipline. Imagine if we realised we were spending all of our high performing time on email and in routine meetings? Well, many people are – and that’s why we need to think about how we design our days. We tend to know when we’re at our most productive – the Design Your Day process is about creating the right conditions in your routine so that you can reach that ‘flow’ state where you’re getting your best work done at often as possible. When designing your day, there’s no deadline to hit or finished product to ship, so you can treat each day as a prototype (to paraphrase IDEO’s Tim Brown) and constantly improve and refine your solution, and have a ‘smarter everyday’. Observing your day seems to point toward taking time and thought to ponder - how can this be approached without looking as though you're not up to much in an office environment? Observing your day more closely could be as simple as taking 10 minutes at the end of the day to think about how it went and how you’ll improve your approach tomorrow. It might also be an idea to let your colleagues know what you’re trying to do, so that your new approach isn’t mistaken for idleness. Making these changes is cultural, not just personal, and sharing what you’re doing could also end up having a positive effect on your colleagues and by leading them to think more deeply about how they can get the most from their own days. Book the time in your diary and call it a “personal performance review”. No one’s going to think that that’s a waste of time. Behavioural change can be both difficult and rewarding - but human beings love habits and we appear to be hardwired for them - are there psychological principles that you might apply to encouraging change? Understanding the psychology and neuroscience behind the patterns we fall into can make it easier to change. One powerful insight we gained was rather than attempting to break bad habits (very difficult, as we all know), we must focus on growing a new one to replace it. For instance, if you have a habit of waking up and reading email straight away (which means you start the day stressed before it has even begun), you set aside some interesting reading and get into the habit of opening that rather than your inbox. The ‘habit loop’ concept says habits start with a cue that leads you into a routine, which gives you some kind of reward. For example, your cue is feeling tired, your routine is getting a coffee, the reward is a caffeine buzz, and soon you start to crave coffee. By identifying and experimenting with the cues, routines and rewards that form your habits, you will find it easier to change. Remember: thinking is expensive in terms of your energy – build new, effective habits to free up your mental capacity, shifting the effort of carrying out tasks from your conscious to your unconscious brain. Growing a new habit requires an upfront investment. It is hard work while the habit “takes”, but once established, you will spend less energy on that activity. How would you recommend people avoid fatigue? Many of us focus on managing our time. We don’t pay as much attention to managing our energy. The NeuroLeadership Group’s Paul McGinnis says that just as we wouldn’t expect our bodies to run back-to-back races, we shouldn’t expect our brains to cope with back-to-back meetings. Remember that mental energy is a finite resource: consider how your energy levels will change when you’re planning your day. For example, think about the time of day when you tend to be at your sharpest and schedule your hardest tasks for then. Plan less demanding activities – expenses, emptying your email inbox - at times when you know you’re likely to be at less than 100%. Get enough breaks, eat the right kind of foods to keep you going and take time to relax, exercise and socialise. Neuroscience shows that these are all key to performing at our best in the long term. Is there room in business to start employing people with skills in psychology and neuroscience? In your opinion and experience, what is the role of psychology in business and why is it important? Understanding how our minds work, and having the right language and framework to talk about it, is always an asset at work, because it can lead to constructive conversations in teams about how to work more effectively. Perhaps it’s even more important at the moment. We’re in a period of change – the digital age and the rapid adoption of mobile technology is totally revolutionising the way we work, in ways we don’t fully understand yet. It’s useful for businesses to have people who understand how these changes might be affecting us mentally and can help to shape new rules for working efficiently in the connected age. 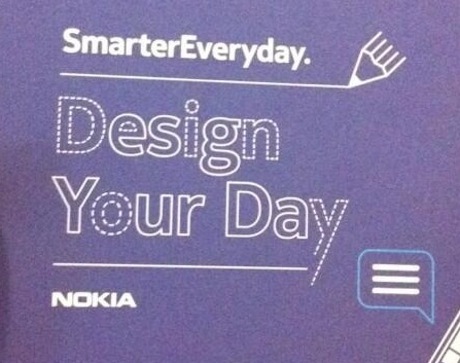 Antony Mayfield from Brillaint Noise and Chris Schaumann from Nokia chat to Chinwag abour their “Design your Day” eBook. They focus on ways to adjust your day to get the most out of it. Discovery - trying to understand as much as you can about the challenge you face. Defining the challenge – working out best way to describe, and finding the right language to frame the challenge. Developing ideas – coming up with as many potential solutions as possible. Prototyping – making a model of one of your ideas. Testing and iterating – testing your prototype and creating new versions (or iterations) based on what you learn.